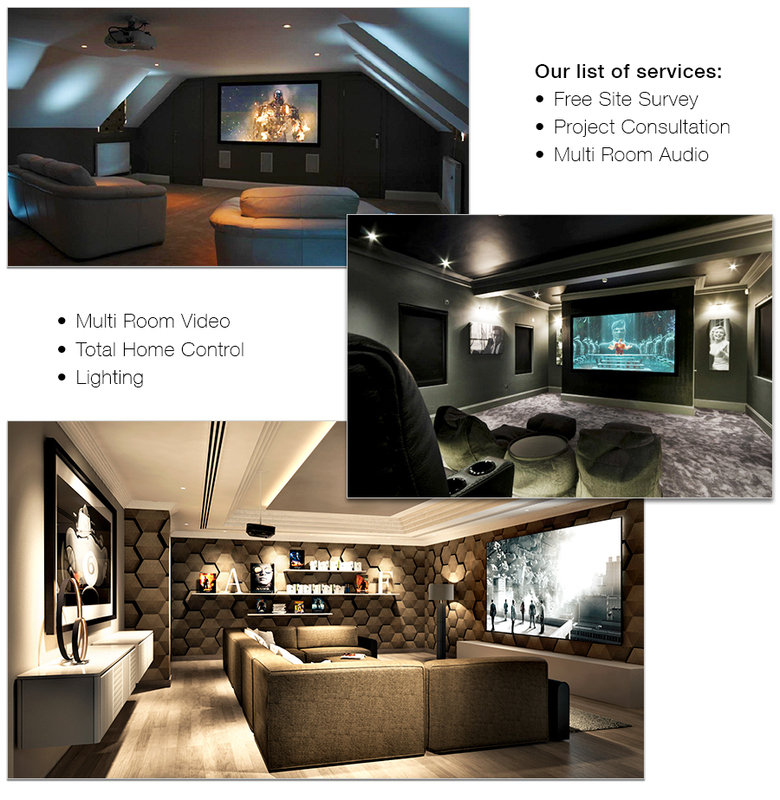 PRC is a highly experienced installer and specifier of Home Entertainment, Lighting and Home Automation systems. With a choice of the world’s leading brands and working with a trusted team of experts and craftsmen, our work has been acknowledged by various institutions, so our expertise is professionally recognised. Whatever our client’s budget and whatever their knowledge, our team has the expertise and years’ of experience to deliver the best possible solutions. We also work extensively with professionals – developers, architects, interior designers and builders – to deliver the best possible solutions for their clients. PRC has the expertise to turn concepts into reality and to offer advice, not only about ‘what’s possible’, but also regarding the very latest entertainment, automation and lighting solutions – often before they’re widely known about. We are happy to share some of our work and we’d be delighted to discuss your needs, either at our showroom, or by visiting you. Please get in contact to discuss more and to learn more about why PRC is the chosen installer for hundreds of satisfied clients throughout Essex, London and the South-East. We’d be delighted to help with your projects. Domestic or commercial, no job is too big or too small.